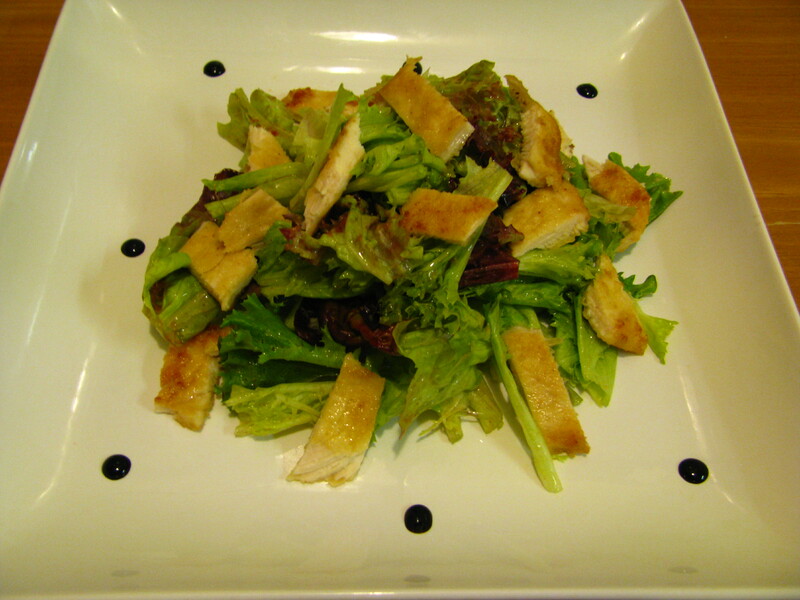 This salad is great as a starter to a meal or on its own. Simple but yet satisfying with lots of great flavor. Dip chicken into some whole wheat flour and on to a skillet, then cook up until it has a nice golden brown color. I make my own dressing with fresh garlic, salt, pepper and some olive oil. Mix everything together and place on a dish. Something short and sweet for you to enjoy. I think I’ll add this to my list of salads to make for lunch. I’m always looking for something light for lunch.